Whether he was donning the collegiate colours of Clarkson or the NHL jerseys of Columbus and Winnipeg, Grant Clitsome wore each with the utmost pride. Clitsome, who announced his retirement June 1 due to back-injury issues, is hardly far removed his hockey life. Yet, as he looks back on big-league career and four university seasons, he has nothing but fond memories of those times. After a starring role with the Nepean Raiders and at Clarkson University, where he helped the team to 78 wins from 2004-08 while earning All-America and ECAC All-Star status, Clitsome, drafted in 2004 by Columbus, played 11 NHL games with the Blue Jackets in 2009-10. 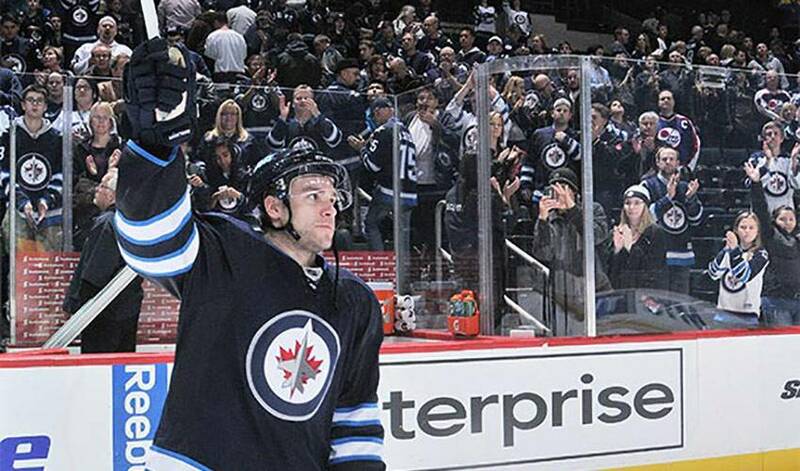 He would skate in 205 career games with Columbus and Winnipeg, scoring 15 goals and recording 56 assists. His final NHL game came in January of 2015. Although the Blue Jackets lost in overtime to Vancouver in that March 2, 2010 game, Clitsome chipped in with two assists and was third star. As for what his future holds, Clitsome, who has a major in entrepreneurship and business and a minor in law and political science, is looking at several different options. He’s also looking forward to spending more time with his wife, Valerie, and their young son, Noah. For the next little while, however, Clitsome will be content to appreciate his NHL life, one that ended not on his own terms, but one he remains grateful to have had.